Hi Everyone! Tammy Santana here, happy to be a part of the February Disney Pixar Blog Hop! I decided to decorate a fun Mixable Magical Album from Clear Scraps for a friend that recently took a Disney Cruise to Alaska. 1. 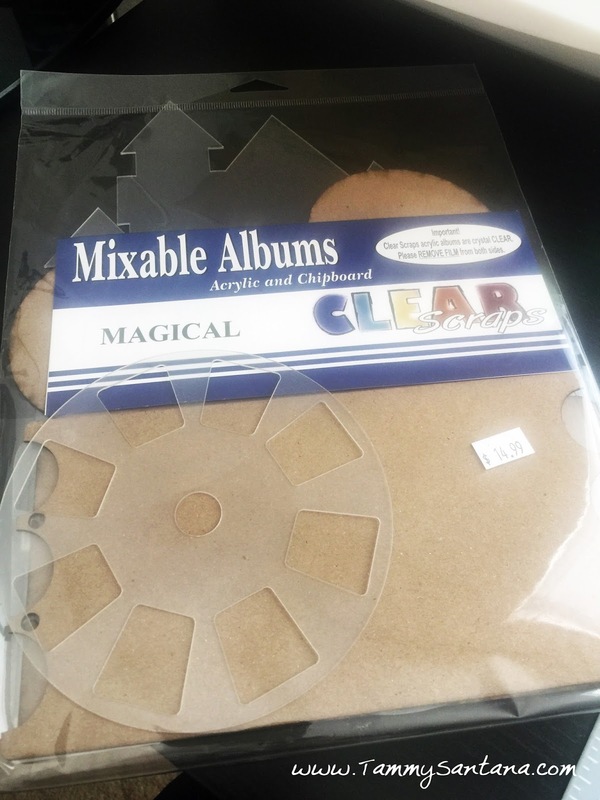 Take each clear acrylic piece from the Mixable Magical Album and spray the back with Krylon Glitter Spray Paint, let dry completely. 2. 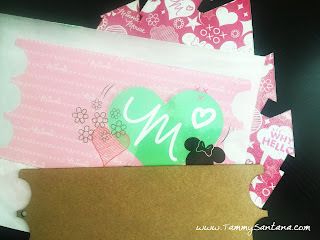 Trace around each piece on top of scrapbook paper and cut out with scissors. 3. 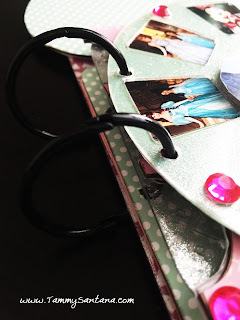 I attached scrapbook paper with Zip Dry to the acrylic pieces and used my Xyron machine to attach scrapbook paper to the chipboard pieces. 4. Use embellishments of your choice to decorate each page. 6. 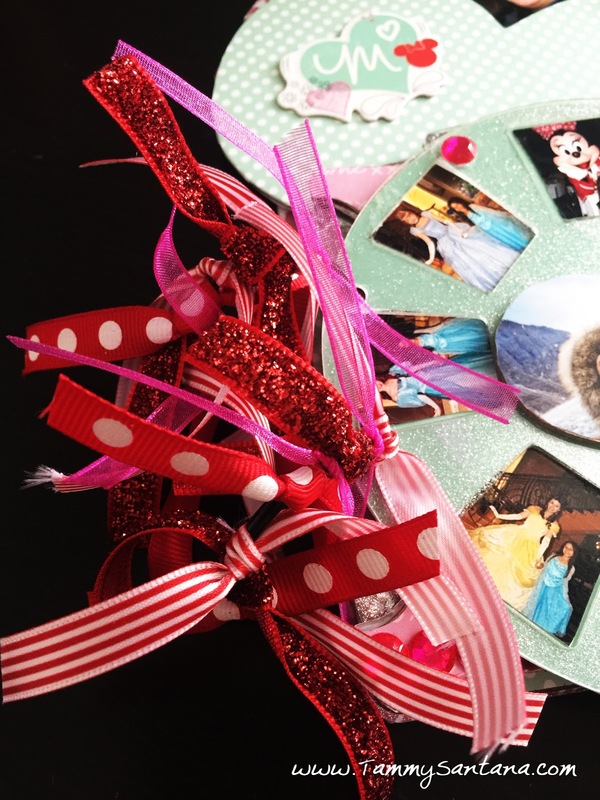 Attach ribbon to pinch rings for additional decoration. I love how this turned out! 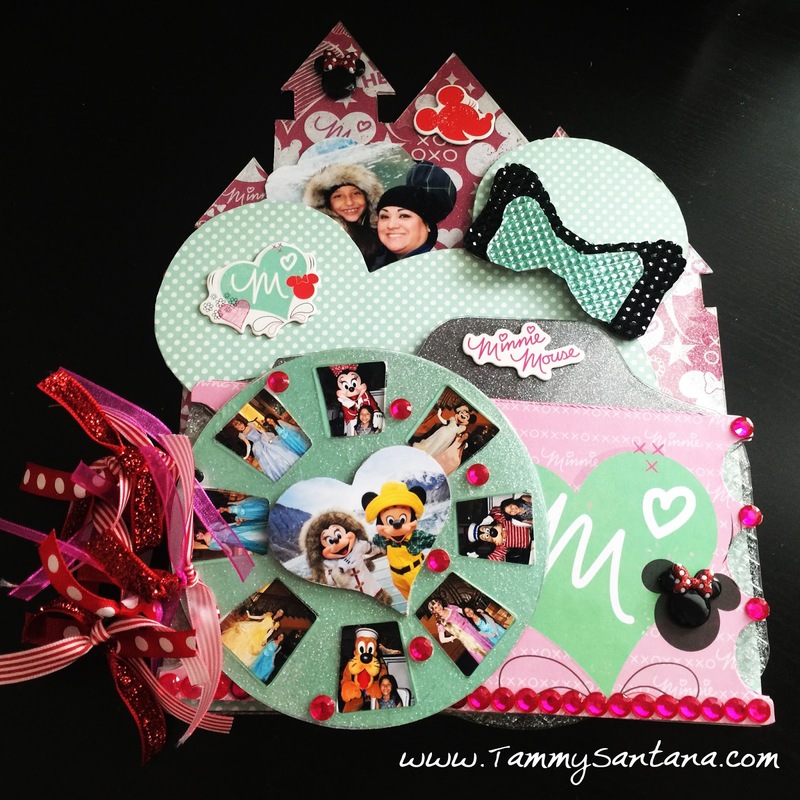 I love to see your projects, tag me on Instagram @TammySmithSantana! 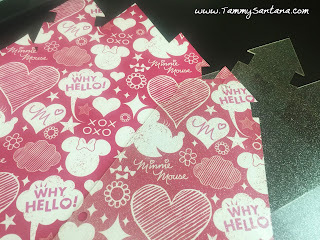 Disney and crafting are a magical combination, and we are so happy you joined us today for this blog hop. Some of the participants in this event have been part of the group since 2011! Over the years the hop has grown but one thing has always stayed the same . . . amazing crafting projects that feature your favorite characters from Disney and Pixar movies. For 2016 we are excited to announce that we will have a hop every other month for the entire year . . . February, April, June, August, October and December. If you are on Facebook please like the group page so that you can be the first to learn about each upcoming event. Just click HERE to go the the Facebook page. 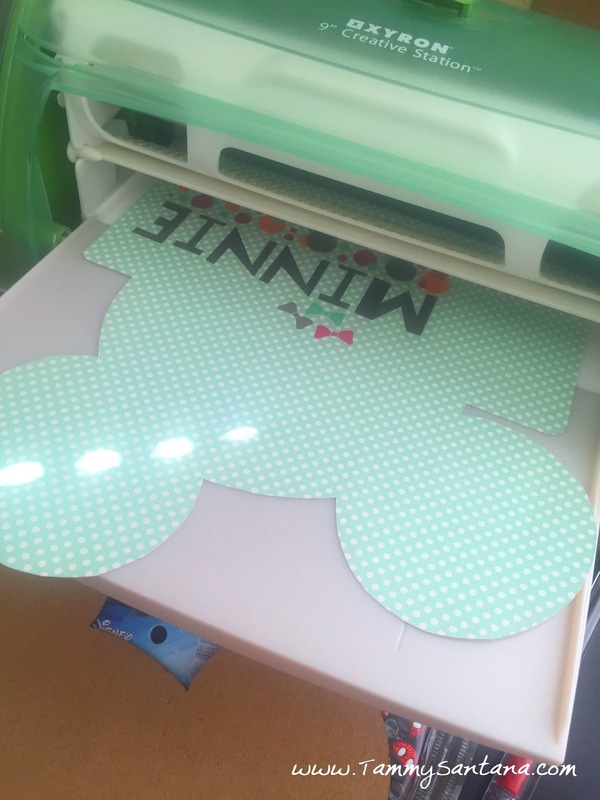 To make sure you don't miss any of the fun, be sure to head over to Shawn's blog to see all of the projects. 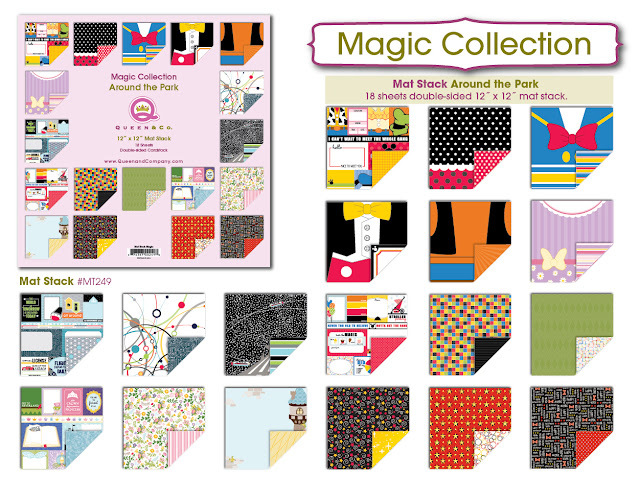 Just click HERE and then follow the hop line up at the bottom of the post to see everyone's projects. 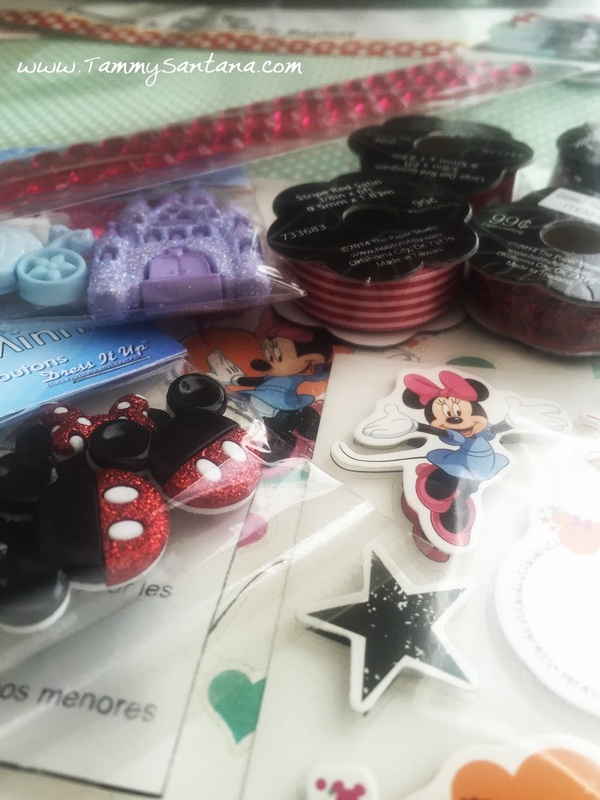 I love your project! The embellishments are awesome! Thanks for sharing! 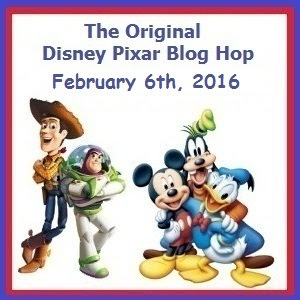 ~Melissa "My Disney Life Blog"
This is a great album! Thanks for sharing. Such a fun & pretty album. You sure made your creation look easy to achieve. Humm, thinking may just go buy on for my daughter so she can make her own. Anyhow that you for sharing the steps on how you created yours. This album really captures all the fun and excitement of a Disney vacation! Just adorable! thanks for the tutorial. very nice album. OMG this mini album is to die for!!! I absolutely love the viewfinder!!! Love, love, LOVE this mini album!!! I adore making things like this! Your mini album you design here is Beautiful and neat way to give in pictures how to make this..Thanks.. They are really fun albums to work with! Thanks Lori...I love these albums!